Step 1 – The array is placed into a basin of clean water with your feet. Step 2 – A pinch of salt is added to increase water conductivity and improve the ionization effect. Step 3 – The Ion Cleanse delivers positive and negative current intermittently, into the array. Step 4 – The array generates a stream of positive and negative ions. Step 5 – Relax and enjoy a soothing 30-minute treatment. 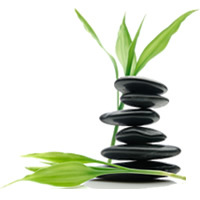 Step 6 – Feel re-energised and re-vitalised. The Ion Cleanse supports the body’s innate ability to re-balance itself. The Ionic cleanse foot bath is a non-invasive therapy which re-energises and helps support the body to detoxify naturally. Sit back, relax and let your feet soak in a warm Himalayan salt infused bath. Leave feeling lighter, more relaxed and happy in the knowledge that you have liberated yourself from toxic overload. The Foot Detox is great for people wanting to detox their bodies of harmful toxins. If you feel that you are being weighed down by the effects of environmental toxins this could be for you. If your metabolism feels sluggish or you are looking to lose weight then try a foot detox. People have often found great relief from arthritic conditions using the foot detox also. Imagine placing your feet into a lovely warm bath and sitting back, relaxing while your feet do all the hard work. You will notice that as your feet start to detox the water will change colour. The initial colour change is a chemical reaction between the array and the Himalayan salt blend, but as you continue to detox the water will change further. This is a sign of toxins being pulled out of your body through your feet. Each person has a distinctly different colour and this is indicative of which system in your body is in need of detoxing. You may feel lighter and more relaxed while receiving your detox treatment. Some people find that their energy levels increase and that their metabolism kick starts itself. You may lose weight or gain pain relief from arthritic conditions. We like to recommend a course of 6 treatments to gain full advantage of the wonders of the ionic detox foot spa. We often find that people like to come on a regular basis just as maintenance. Feel free to talk to your therapist about treatment options that might work for you. Who offers the Ionic Foot Detox?